Lucidity Festival understands the impact of our event and takes responsibility for our social and environmental impact each year. We care deeply about the land on which we gather and celebrate. We are honored to deepen our relationship with the Planet each year through our sustainability practices. We know large scale festivals like Lucidity present unsustainable elements, and each year we look to lower our impact and leave a positive mark in our wake. “Zero Waste” means that nothing is waste, because everything is a resource! Zero Waste is a goal of sending nothing to the landfill, because all resources should be rethought, reused, recycled, or composted. Source Awareness: When we buy a product we accept ALL the waste it creates, from production to packaging. Flexing our purchasing power by not accepting packaging waste makes a difference, both long- and short-term. Waste Diversion: When we divert resources from landfill, we reduce all kinds of toxins from entering our soil, water, and air. For example, when organic waste (compost) sits in a landfill and decomposes anaerobically (without air), it produces methane and carbon dioxide which contribute to global warming. 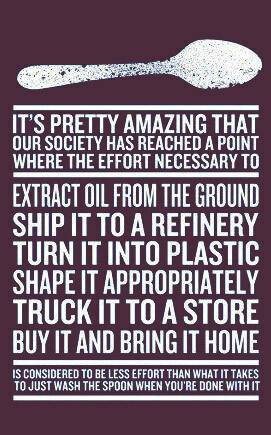 Not to mention all the toxic chemicals leached from plastics, as they decompose over hundreds or thousands of years! Lucidity believes we all have a social responsibility to adopt an ethical ideology to support our community and Planet. We have eco-education stations throughout the festival, which help to sort all items used in the proper landfill, recycle and compost bins. Through our Lucid University Courseweek (week before festival), participants will Awaken Knowledge, Engage Learning and Emerge Transformed. With subjects ranging from Ayurvedic Herbalism to Community Relations, we offer immersive educational experiences. We also have a variety of sustainability and permaculture workshops during the festival to prepare you with valuable insight and tools for the future. Recycle glass, metal, hard plastics, clean paper; Compost food scraps, soiled paper, and anything that used to be alive. REDUCE and REUSE, bring your own reusable dishes now that the dish-washing service is no longer available! Biodegradable soap, water bottle, silverware and a tupperware is all you need to bring. Leave styrofoam and excess packaging at home, and pack out your own trash! We are aiming for ZERO WASTE to landfill. Help us out by picking up at least 20 pieces of litter around your campsite before you leave, no MOOP monsters! (Matter Out Of Place). 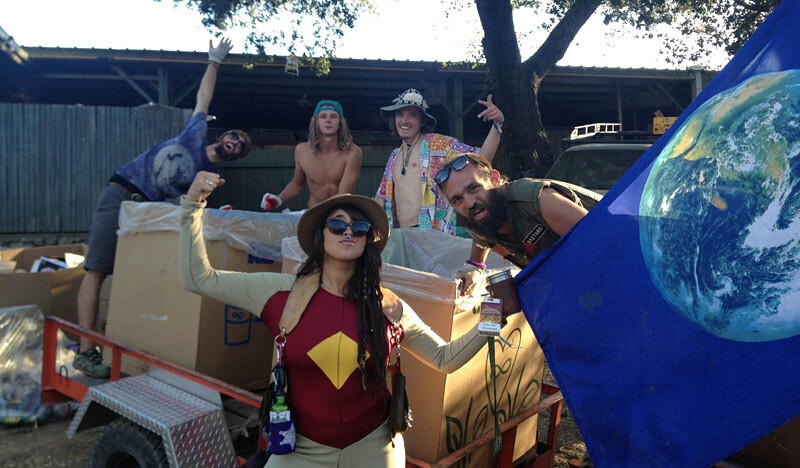 Keep in mind: our hard-working volunteers want to join you on the dance floor, not spend the whole party sorting your trash, so help us by putting it in the right place and leaving no trace! We take great pride in getting to know our vendors, our sponsors, and our community partners, finding out where ingredients are sourced and supporting businesses who have a positive social and environmental impact. 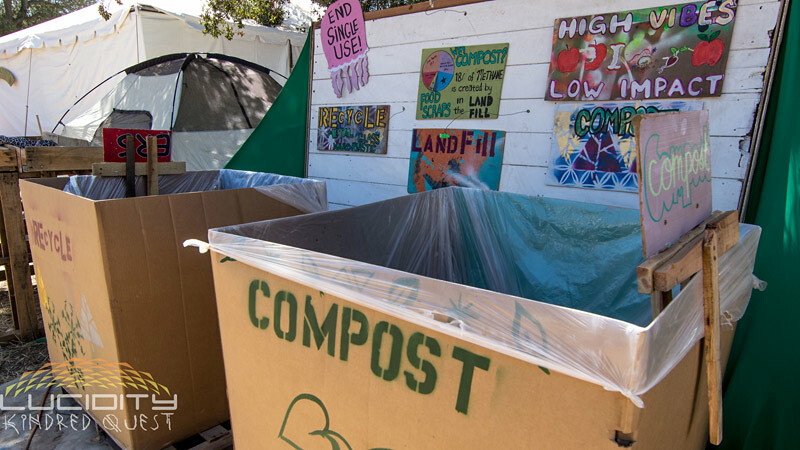 Each year we partner with our local Isla Vista Food Co-op to ensure our Mindful Feeding Program which feeds 10,000 meals over the course of 10 days is serving up only the highest integrity of foods. We align with companies like Collision Cuisine partnering with Chefs who are changing the way we eat and grow food. Our onsite Lucidity Farmers Market and Mindful Feeding Program receive direct buy in from local organic farms, including: Roots Farm, Garden of, Goodland Organics, Earthtrine Farms, Hilltop, Ellwood Canyon, Fat Uncle Farms, Givens Family, Finley Farms, Jiminez Farms, Sunrise Farms, Cuyama Orchards. All of our food vendors follow our SOL (Seasonal, Organic, and Local) guidelines and we work to support local food vendors who are sourcing from local farms and grow in a way that is in alignment with our environmental ethos. We are actively building bridges between vendors and local farms throughout the entire year. We take great pride in collaborating with forward thinking companies who treat each aspect of their business model with overall sustainability always at heart. Each vendor earns high marks upholding an environmental and social strategy as an integral component of their success. We have a vibrant local food system that provides the majority of our needs and desires, while keeping us healthy and practicing the stewardship of our natural resources that will ensure the sustainability of that system for future generations. We all have the access and knowledge-base to eat well and in alignment with our values. We all have a deep appreciation for the natural and human systems that feed us and recognize our own roles in generating abundance and generosity. We are inspired to transform the way we interact with the land which feeds us, and to increasingly become better land stewards through intelligent design, mindful feeding, and community connection. We are extremely proud of what we have already been able to achieve at Trillium with our collaborative partners there. Throughout the year, we host small scale gatherings based around council, permaculture, lucid living, art workshops and healing modalities of all kinds. The vision has manifested and now we we are working year round to grow all the food consumed at our small events, where our compost actually stays on the land and is included and adding life to the nutrient cycling process. Our efforts don’t stop there. 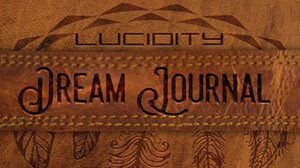 Stay tuned for more changes and improvements in the Lucidity Landscape, and new programs that we present each year our main festival in April. This is the “Sustainability” we all have the opportunity to speak and live into. Where the sum total of our actions is actually giving more to that which gives us life, our planet Earth.